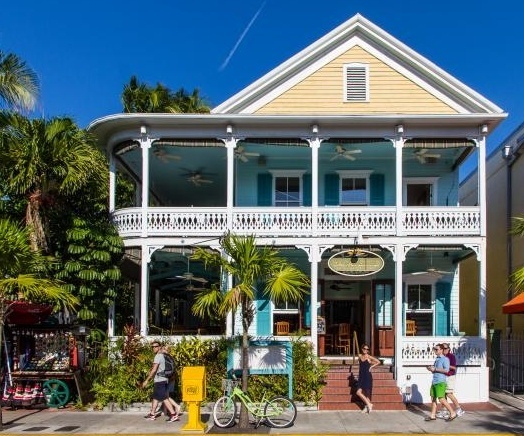 Close to Mallory Square on Duval Street, Bagatelle Island Restaurant is a convenient stop for those near downtown Key West. With a 7-days per week brunch special, featuring corned beef hash, lobster-stuffed omelets and thick bananas foster french toast, it’s an early morning favorite for folks all across Florida. Pair it with their “hangover happy hour” from 9-11:30 a.m. daily, and it’s a hard special to resist. In addition, the restaurant offers a full lunch and dinner menu, with locally-sourced, fresh fish, steaks and other American-Caribbean style dishes. Bagatelle also features an open-air, outdoor space called the Moon Lounge, where guests can listen to live music or enjoy a private bar at a privately-catered event.